The independent TD is not playing down rumours that he will run for the European Parliament in Midlands North-West. 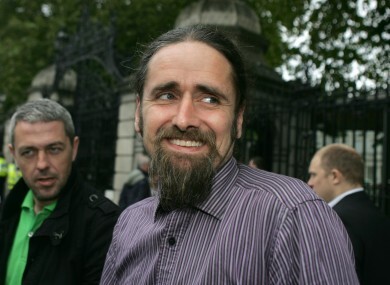 LUKE ‘MING’ FLANAGAN will declare whether or not he plans to run for the European Parliament after St Patrick’s Day. The independent TD for Roscommon-South Leitrim has been speculated about as a possible candidate in recent weeks and has done nothing to dampen rumours, telling Shannonside radio in January that he is “definitely not ruling it out”. He told TheJournal.ie yesterday that he is still undecided but will be making an announcement in the week after St Patrick’s Day which falls next Monday. If he does run, Flanagan will contest the Midlands North-West constituency, the biggest of the three Irish constituencies, that takes in 12 counties across three provinces. Four seats are available with sitting MEPs Jim Higgins, Mairead McGuinness (both Fine Gael), Marian Harkin (independent) and Pat ‘The Cope’ Gallagher (Fianna Fáil) in the running. Fianna Fáil is also likely to run senator Thomas Byrne while Labour is running Galway-based senator Lorraine Higgins. Sinn Féin is running Matt Carthy and councillor Mark Deary is running for the Greens. Independent senator Rónán Mullen is also running. Fine Gael and Sinn Féin are tipped to take a seat each with Fianna Fáil also likely to poll strongly in the 23 May election. If he does run, it would not be the first time Flanagan has contested a European election having previously run in the old Connacht-Ulster constituency in 1999 where he polled 5,000 first preference votes, over 75,000 short of the quota. He was elected to the Dáil for the first time at the 2011 general election. Email “'Ming' Flanagan will tell us if he is running for Europe after St Patrick's Day ”. Feedback on “'Ming' Flanagan will tell us if he is running for Europe after St Patrick's Day ”.